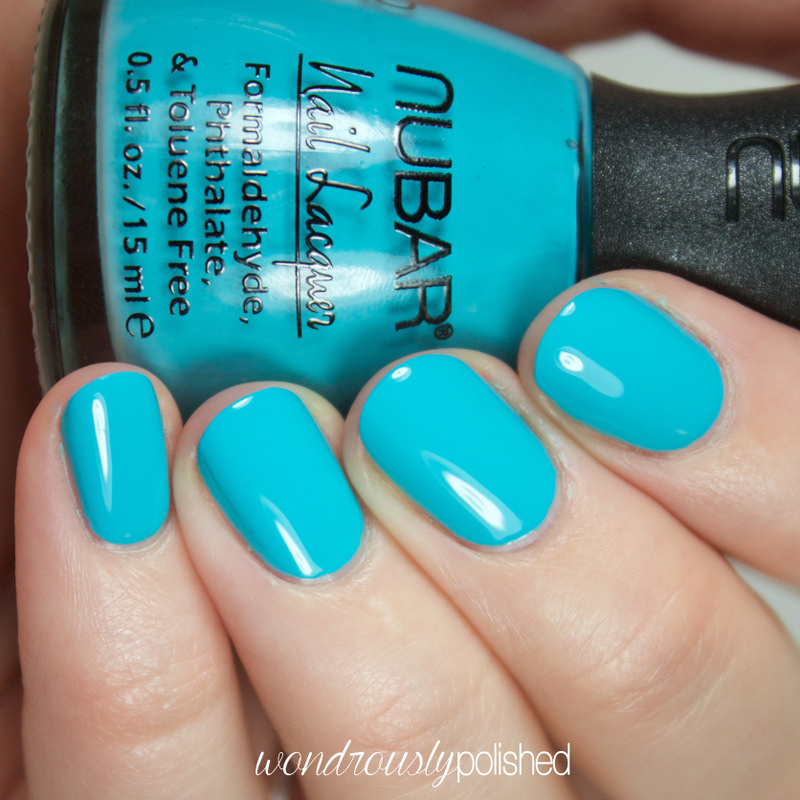 Fan Club is a bright electric blue creme that is so so pretty...and holy wow, the formula on this was perfection! It was practically opaque in one coat but shown is 2. This was completely self-leveling and I had zero issues with application. Love this one. Prima Donna is a soft mint green creme with the same spot on formula as Fan Club. This one took 3 coats to reach opacity because there was a little bit of patching, but that's pretty normal for light shades like this. 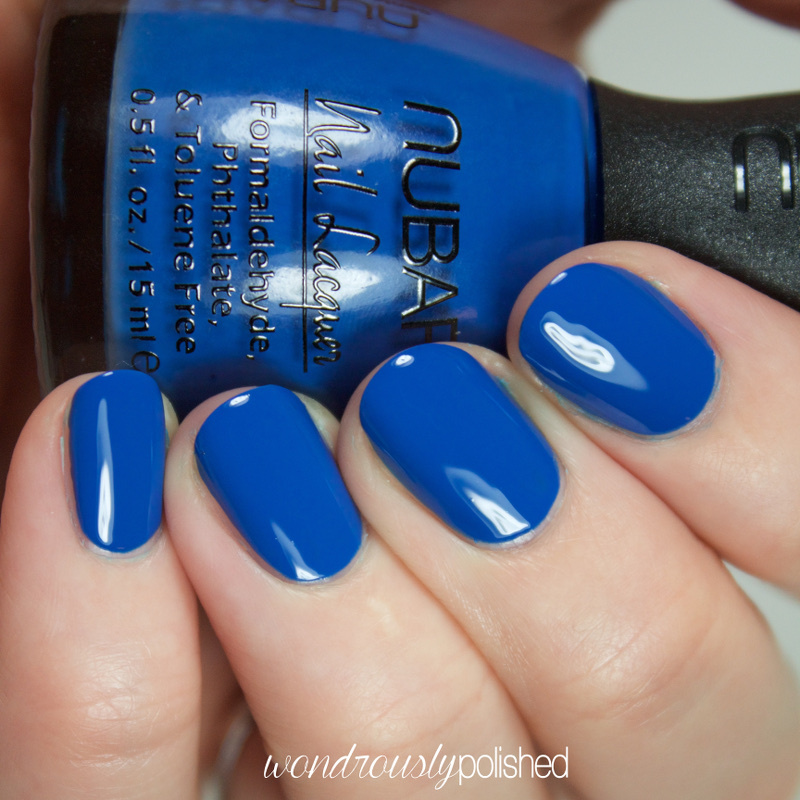 Media is a classic blue creme that doesn't really feel Spring to me, but is still a great staple shade nonetheless. 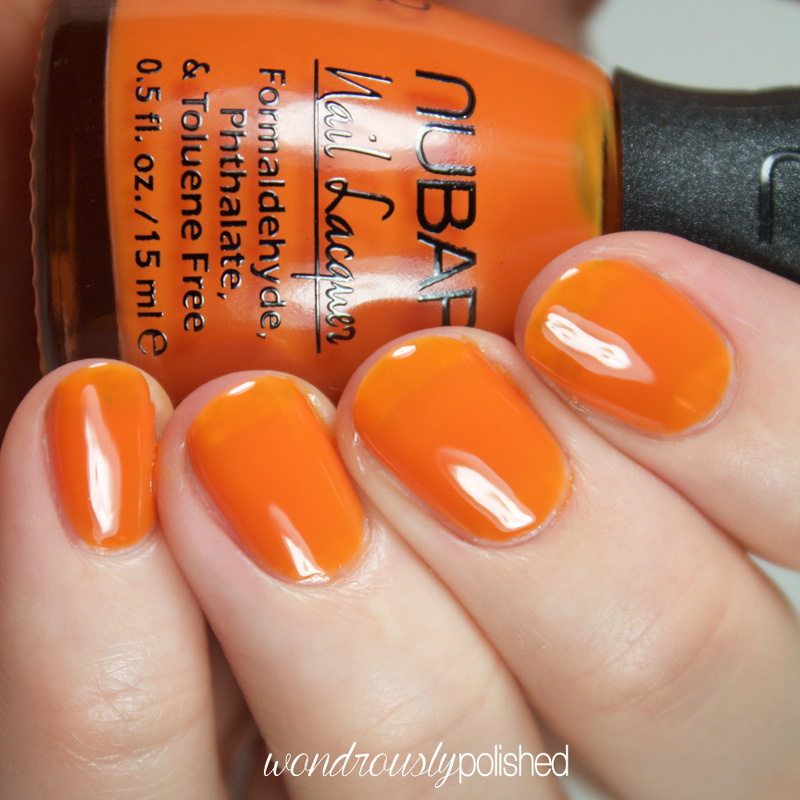 The formula was amazing and shown is just 2 super easy coats. You really can't go wrong with a great blue! Choirgirl is a light, eggshell creme that is opaque in TWO COATS *insert squeals of pure joy*! Without a doubt, this beauty is going to be used regularly now. New favorite for sure. Spotlight is a custard yellow creme that is a pale enough yellow to work for me. The formula was a little more sheer than the others so far, but it still had a nice enough formula. I did need 3-4 coats in order to avoid patching, but they were thin and easy coats. Encore is a dusty rose creme which is another one I'm a little surprised to see in a spring collection. It has some brown undertones and this one feels a bit mature on me, but I still enjoy this shade. Shown is 2 easy coats. Covergirl is a strawberry red, super sheer jelly...and I was a little bit confused by it when I first put it on. I was expecting this to be a bright red creme that kept in line with the rest of the collection, but this is incredibly sheer. I've shown 2-3 coats over Choirgirl. There is potential for some fun jelly sandwiches using this one, but overall, I'm not sure how I would use this polish aside from layered. V.I.P. is the other sheer jelly. This one was a bit more robust and was able to reach some level of opaqueness on its own, though there is still visible nail line. I really like this shade of orange though, and even if I'm not a fan of the sheerness, I can't deny that the formula was still easy to work with on this. Shown is 3 coats. On the whole, LOVE these shades. While I don't quite understand Covergirl or VIP, the other 6 cremes are seriously to die for. 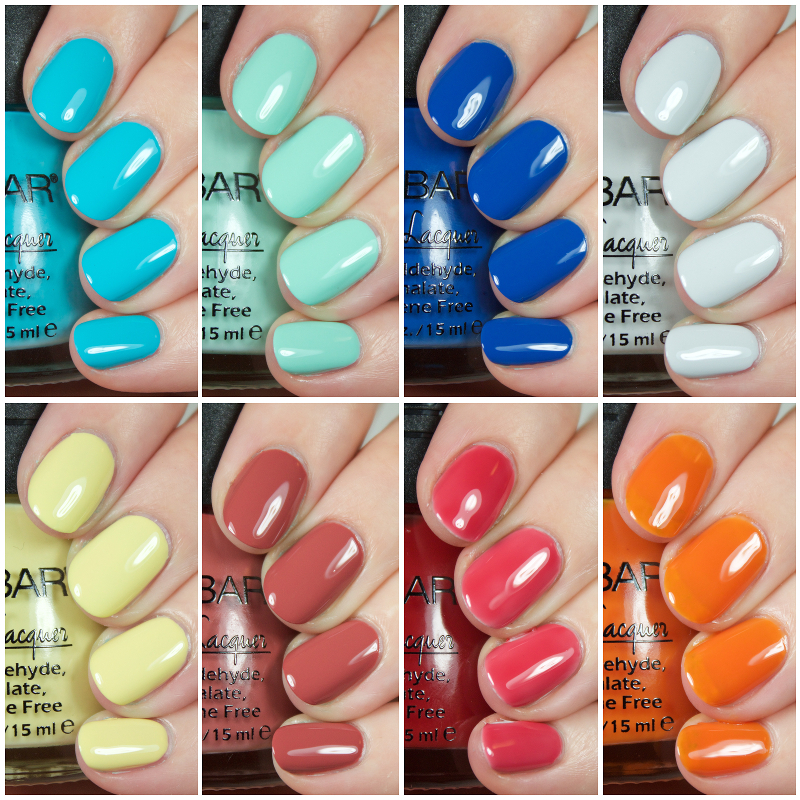 The formulas are phenomenal and the richness of each shade makes me incredibly happy. This is not your average spring collection and feels a bit more like Summer (or even fall), but it's a nice change of pace from the pastels we so often come across this time of year. I also really love the handles of these bottles! I wasn't expecting to enjoy them so much, but they were incredibly easy to hold and work with. The Pop! Collection is available now, though I'm not seeing it on their website just yet. However, be sure to check out their USA and International retailers and check your favorite beauty retailers to see if they've got this collection now. 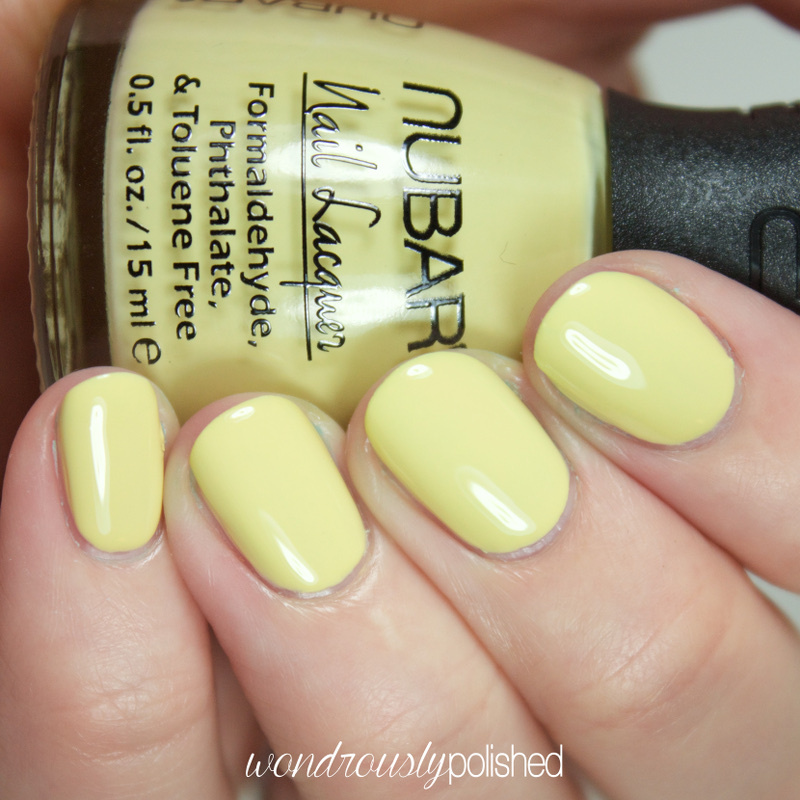 Be sure to follow Nubar on your favorite social media site to stay up to date with the latest collections and promotions! What do you think of this collection? 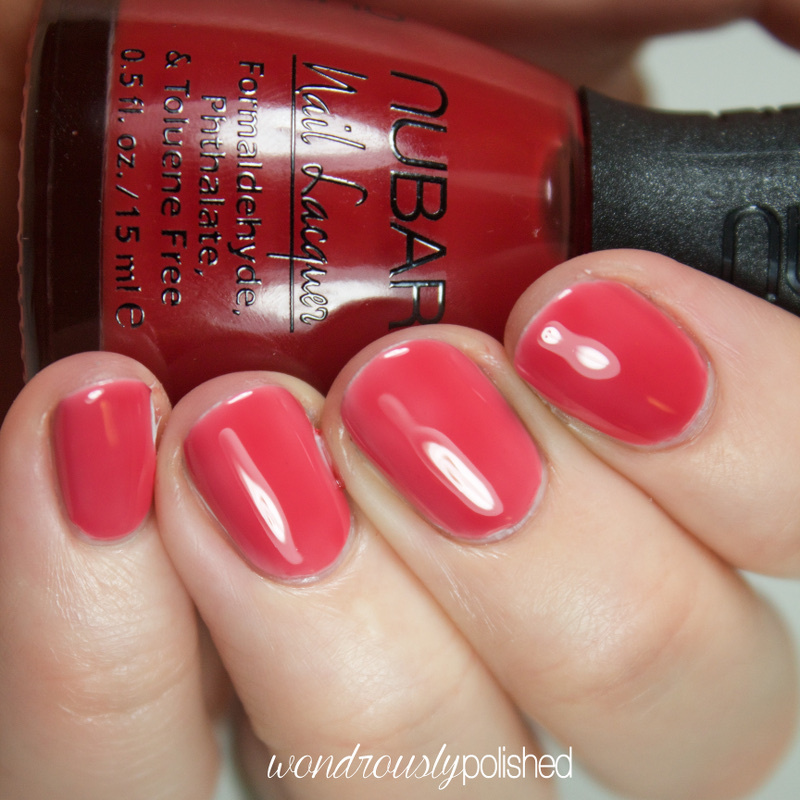 Have you tried Nubar before? Let me know what you think!